Hello, Hello! Hope you're all doing well. Before we party... I want to invite you to ENTER TO WIN one 16x20 Child Message Center Print from MY SHOP. Winner will be announced next Monday, July 1st. 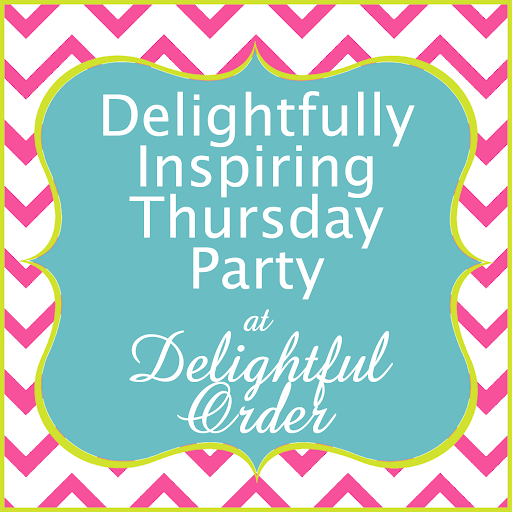 Now onto the Delightfully Inspiring Thursday Party! Thanks so very much for hosting every week! Thank you so much for hosting! Have a great rest of the week! Thank you so much for hosting! Great links this week! Thanks so much for hosting! Have a great week and weekend! Thanks for hosting this awesome link up each and every week. We all appreciate it! Thanks for hosting! I shared a recipe for coconut candy. I love your blog! I learn so much from your ideas. And I love that I can easily move around your blog finding just the right place to go to look for inspiration. Do you know of a link or tutorial on how I can update my blog to include pictures on the side bar. I want to show off some of the organized areas in my home. Thanks for all you do to inspire others.